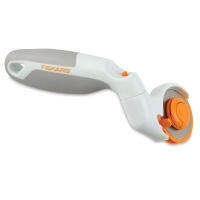 Ready to roll in three different positions, the Fiskars Adjustable Handle Rotary Cutter is a versatile everyday cutting tool. Position the handle in classic stick configuration for straightforward projects, flip the handle for more power when cutting thicker materials, or pivot the handle left or right for a better view while cutting at awkward angles and to take pressure off your wrist. The handle locks in each position for straight, clean cuts without wobbling or curving. Its stainless steel 45 mm rotary blade stays sharp through heavy use and cuts a wide variety of materials, including multiple layers of fabric, paper, felt, and vinyl. 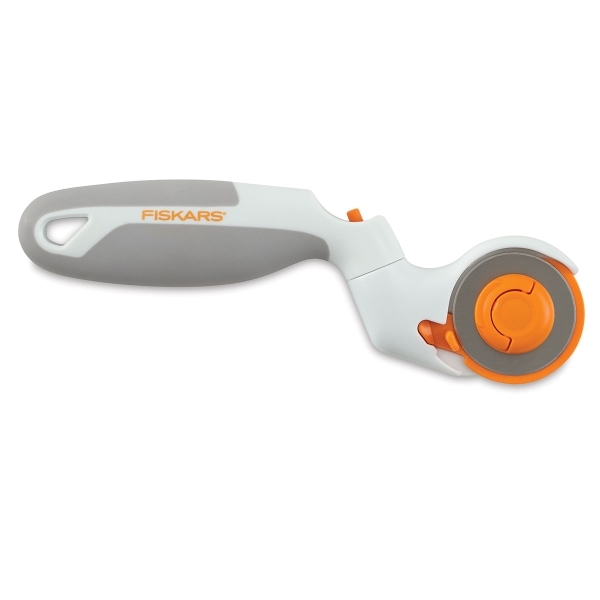 The cutter also features a comfortable, ergonomic Softgrip handle and a retractable blade guard for added safety and storage. 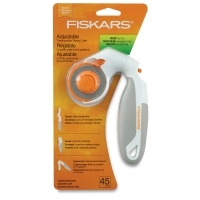 The Fiskars Adjustable Handle Rotary Cutter includes a manufacturer's lifetime warranty. It's designed for both right- and left-handed use.